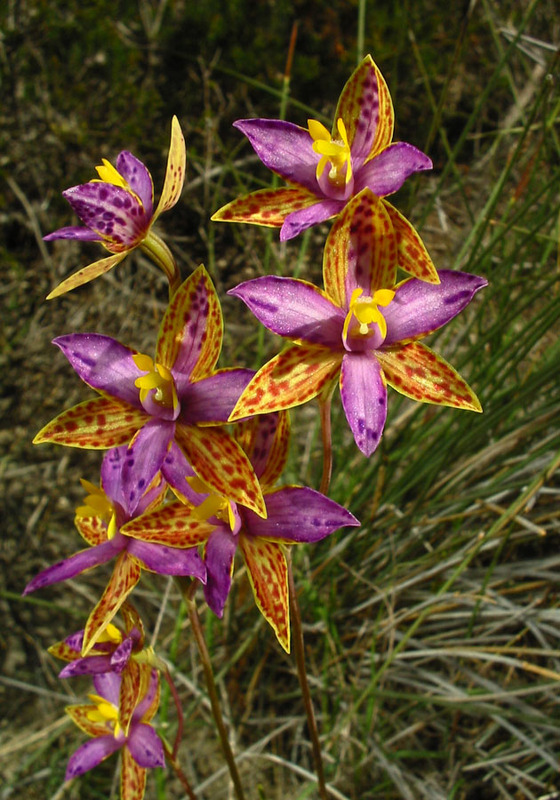 The Queen of Sheba consists of three regional sub species. 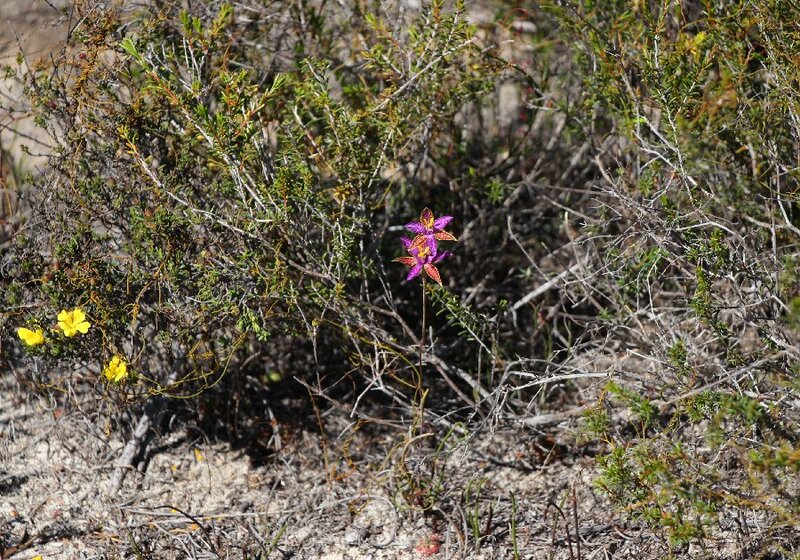 They are distinguished mainly by flower colour and distribution, but there is considerable variation on colour in all three species. 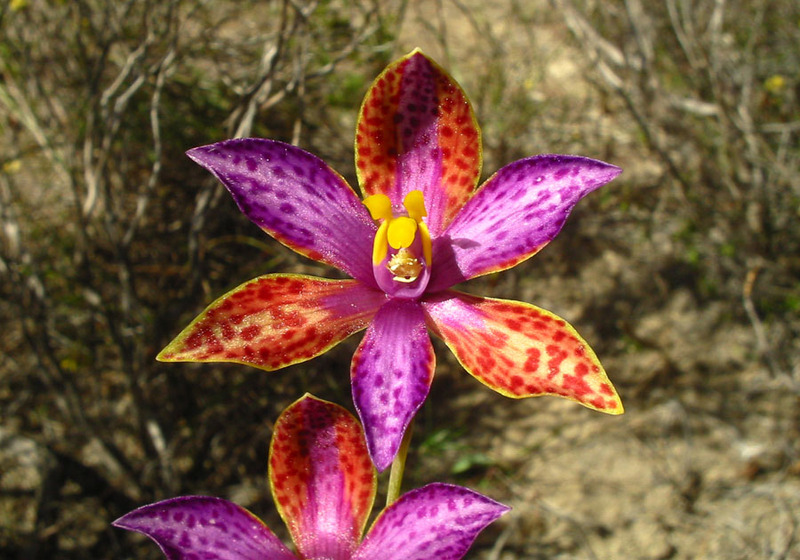 The Southern Queen of Sheba typically has 2 to 6 flowers. 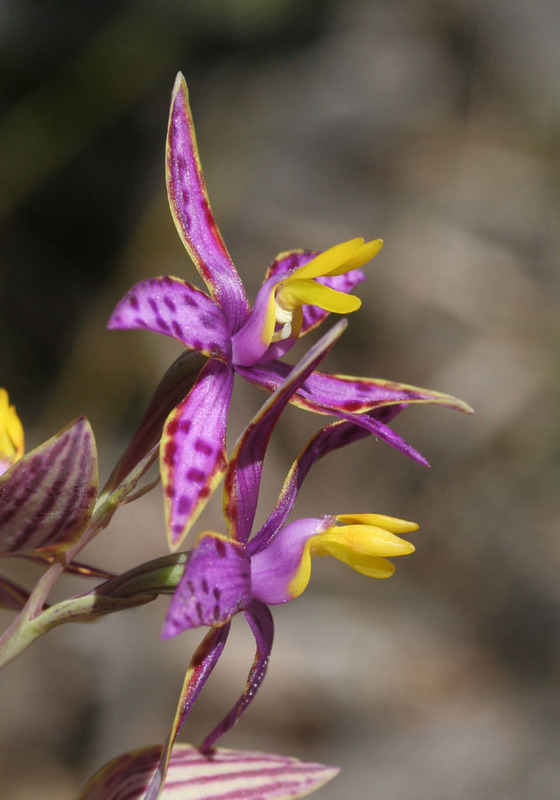 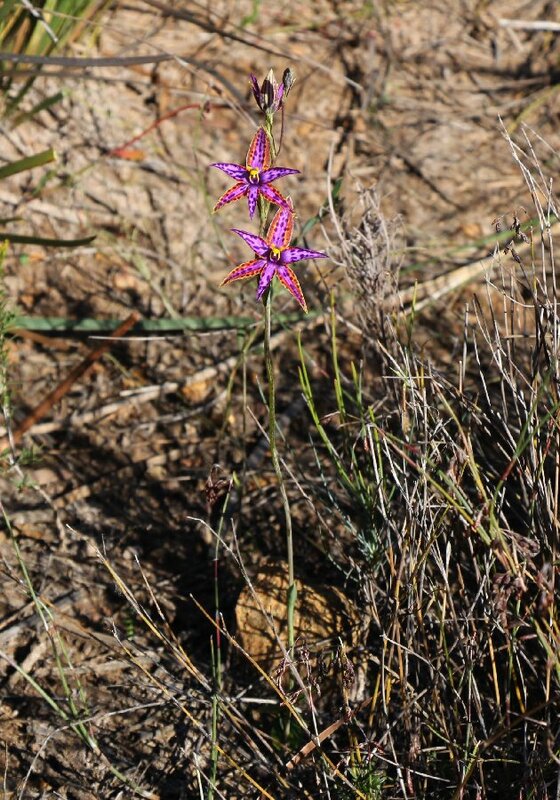 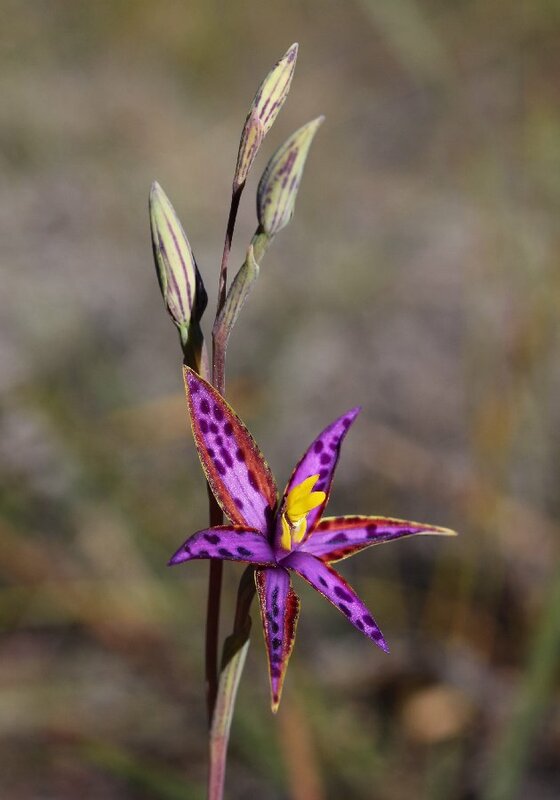 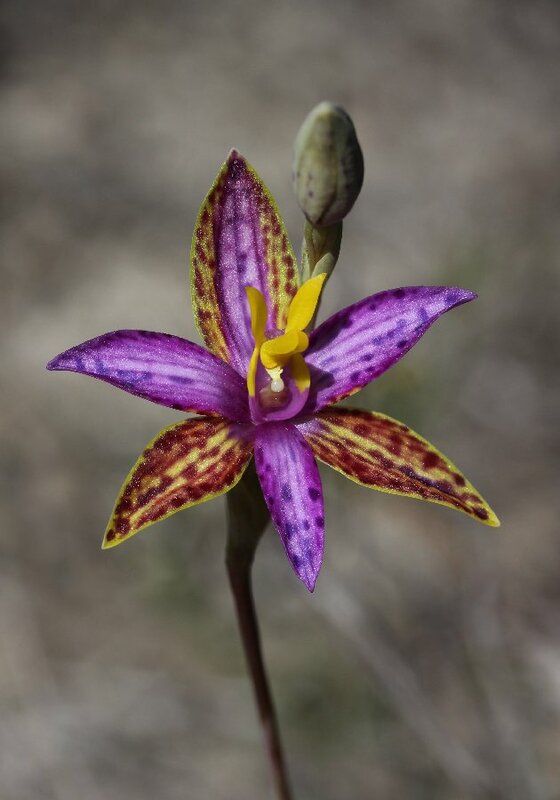 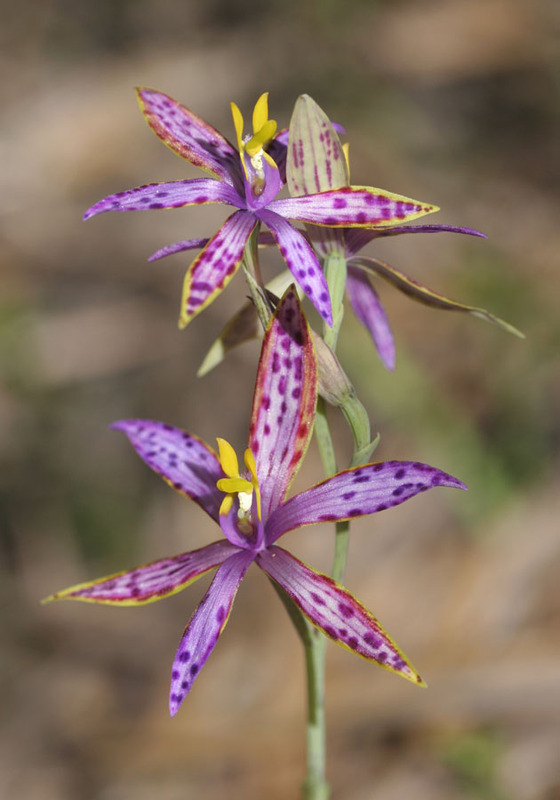 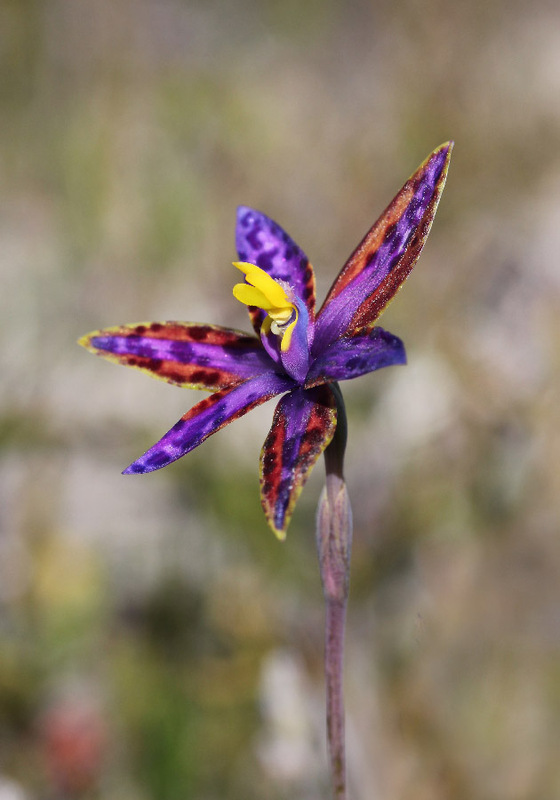 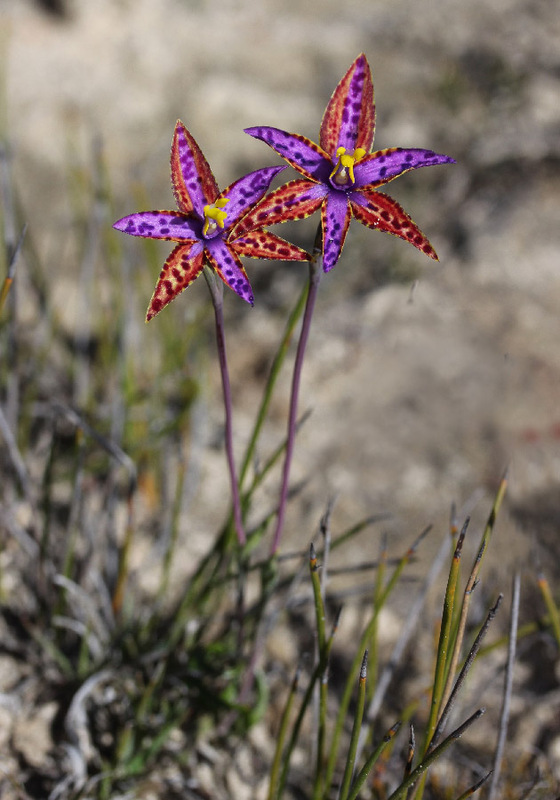 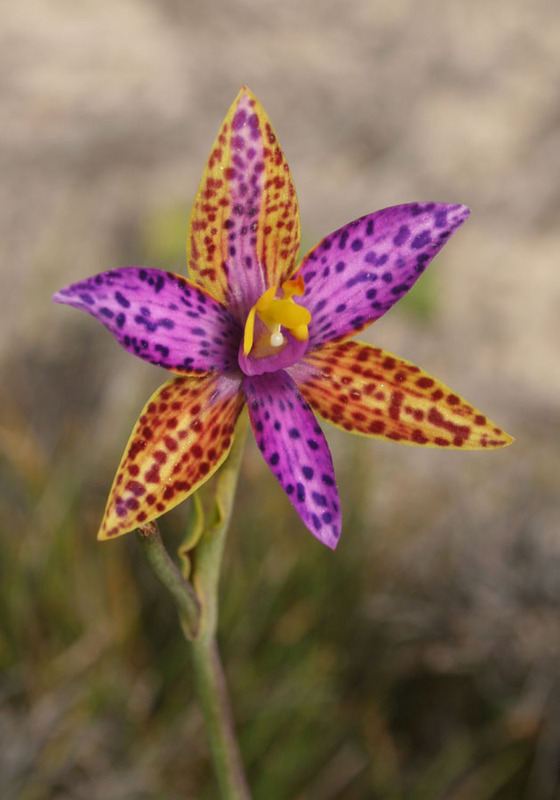 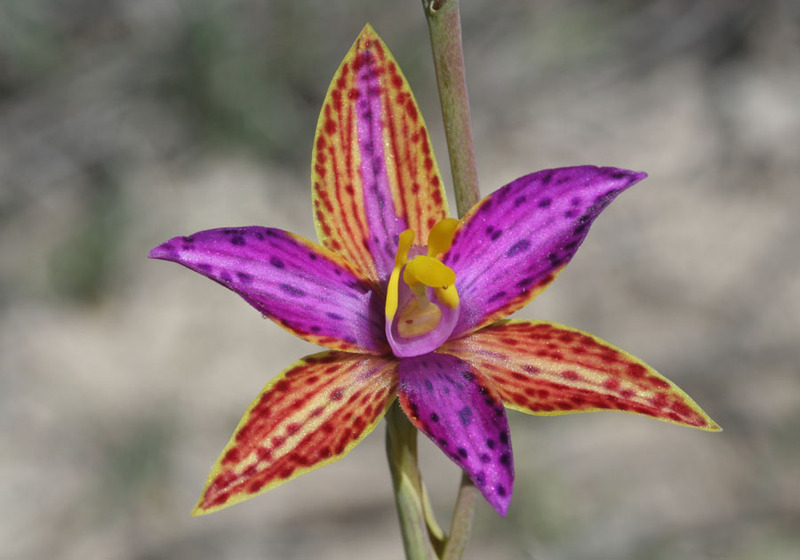 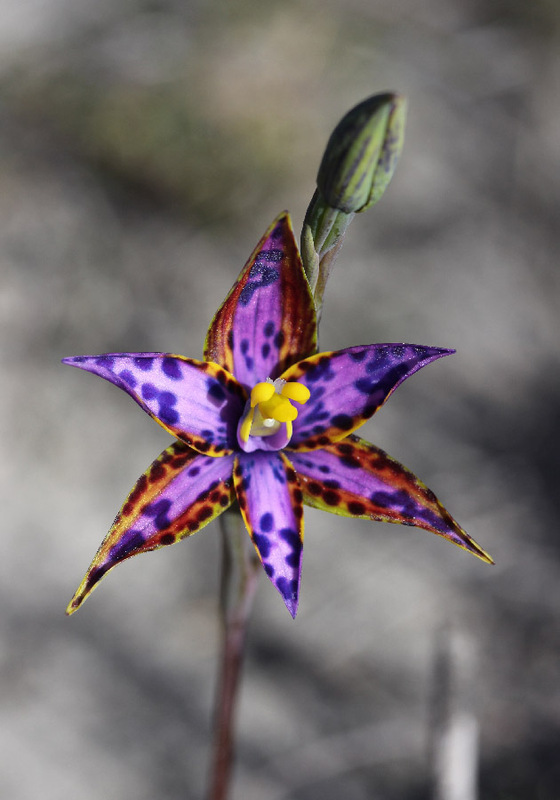 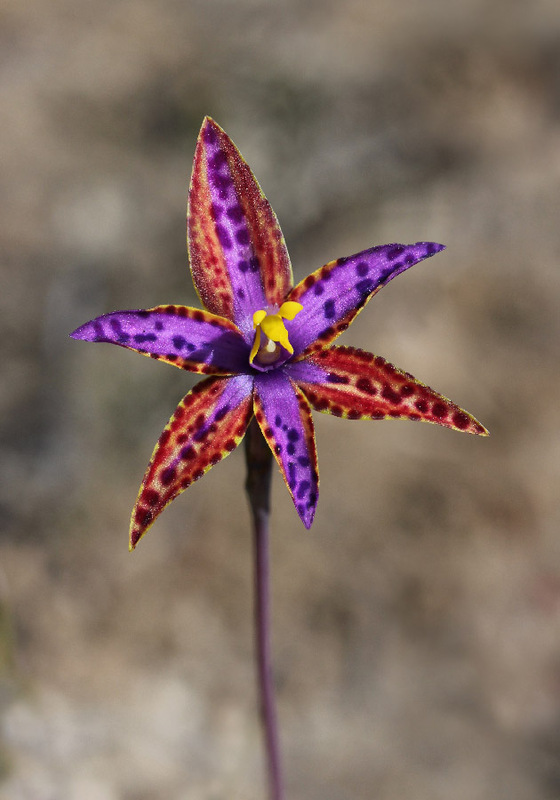 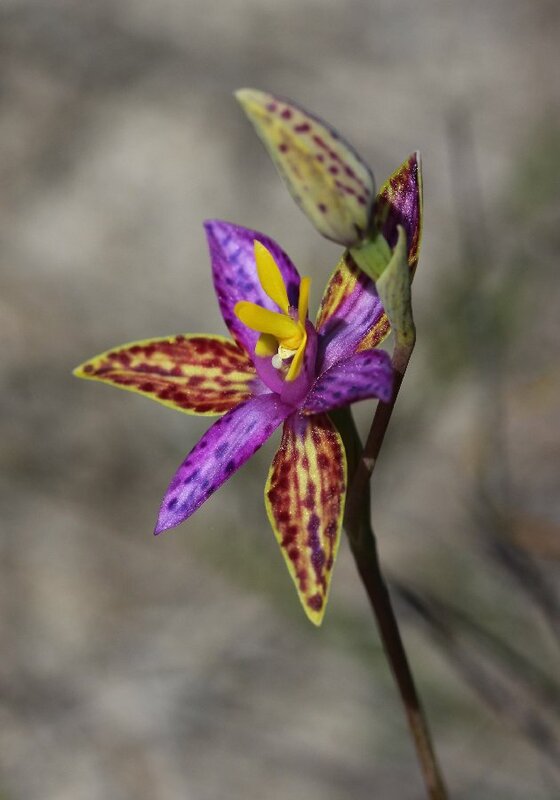 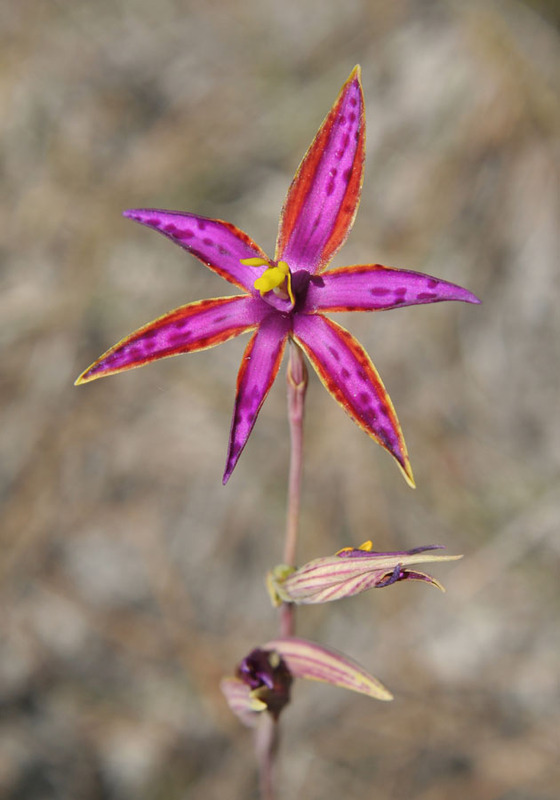 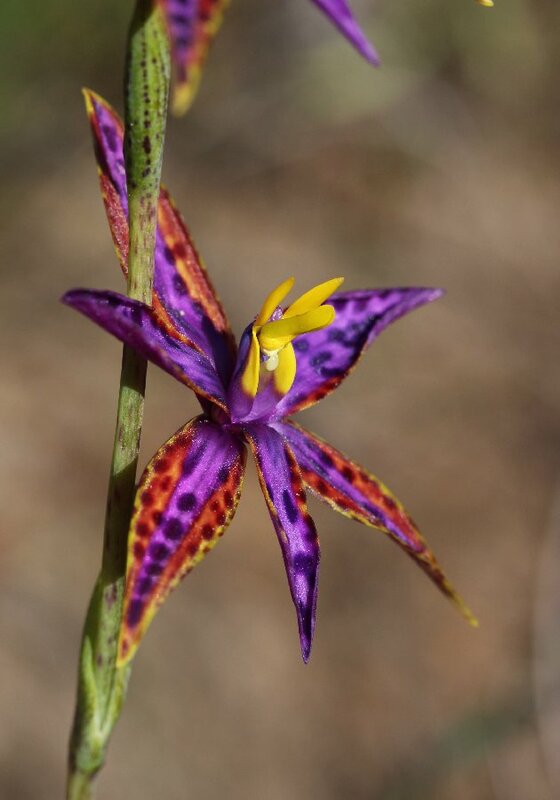 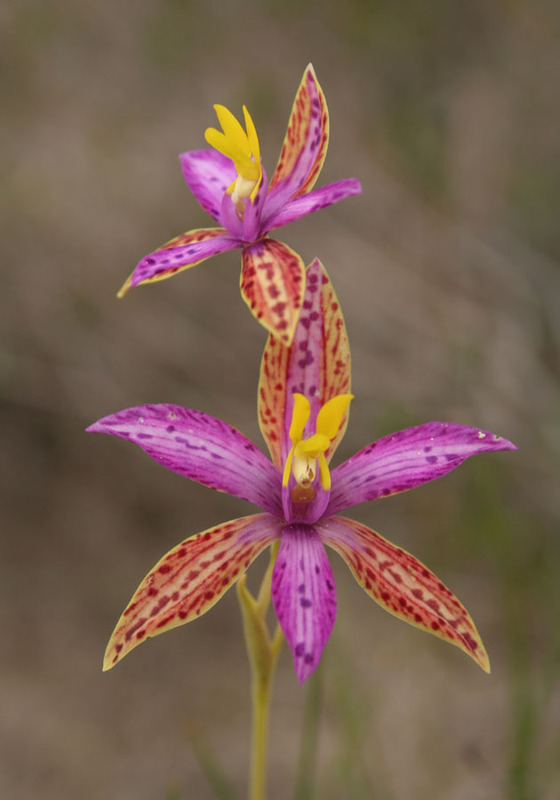 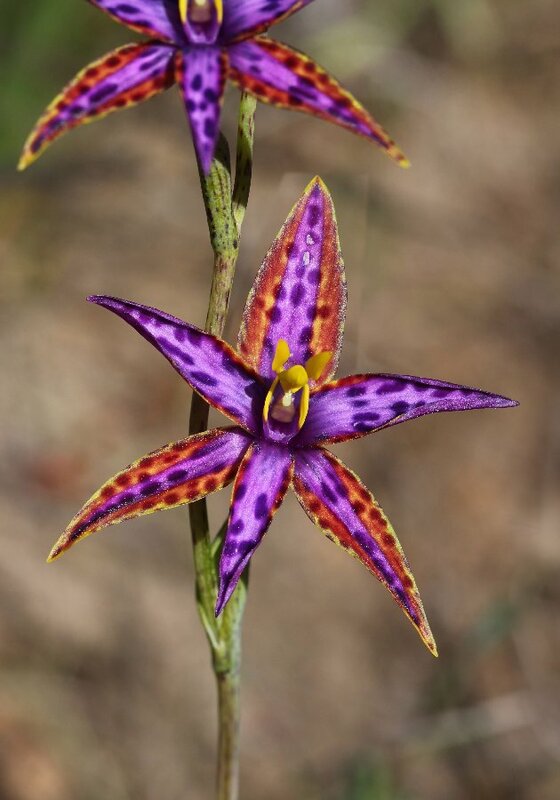 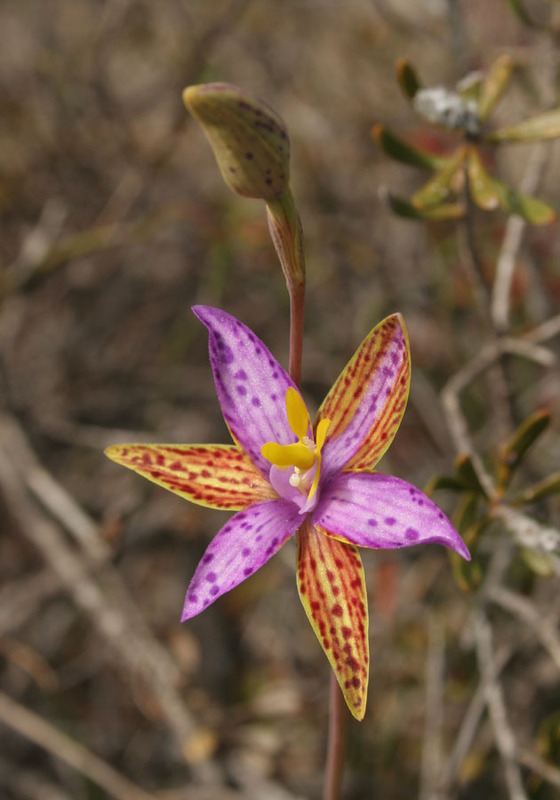 It is found from Bunbury to Albany along the south coast and shows great colour variation with stripes and spots of pink, blue, yellow and red. 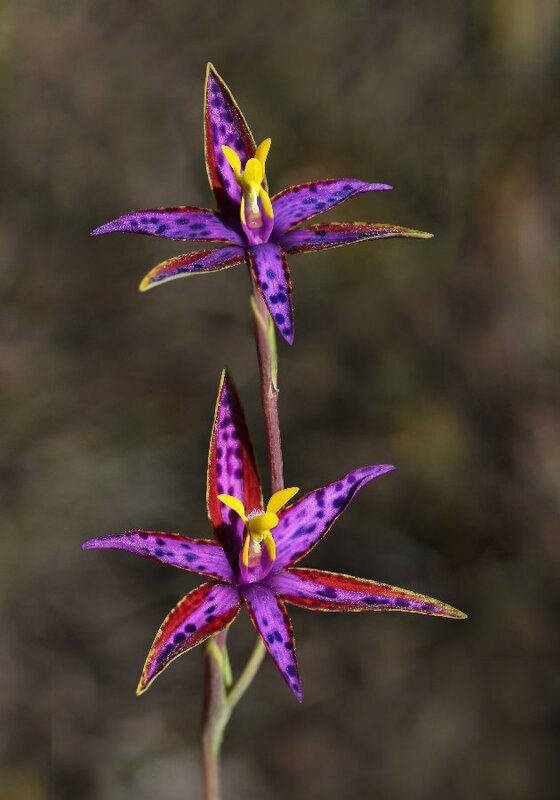 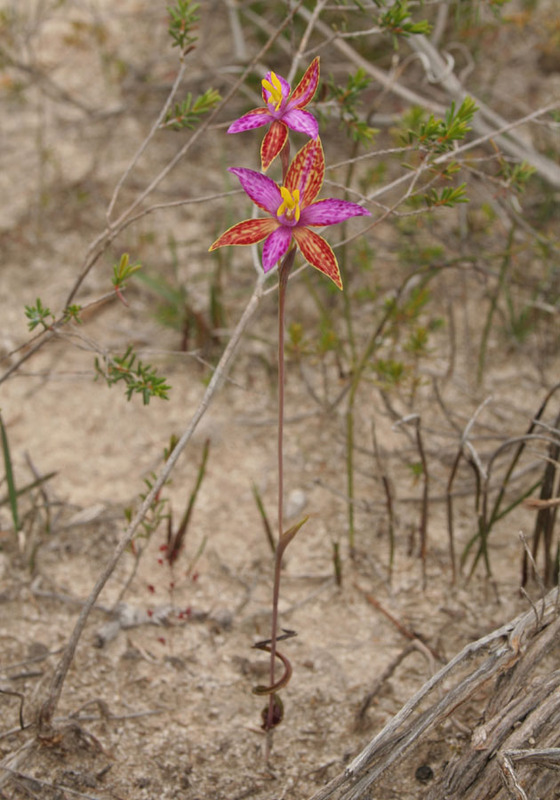 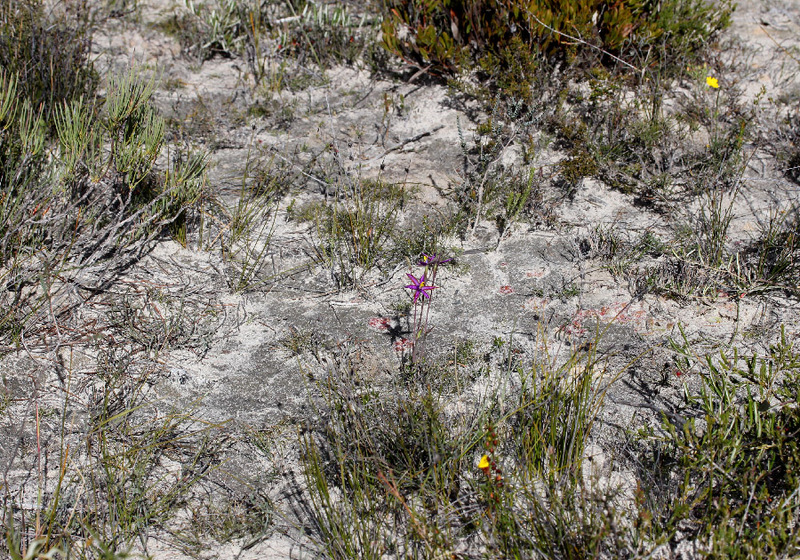 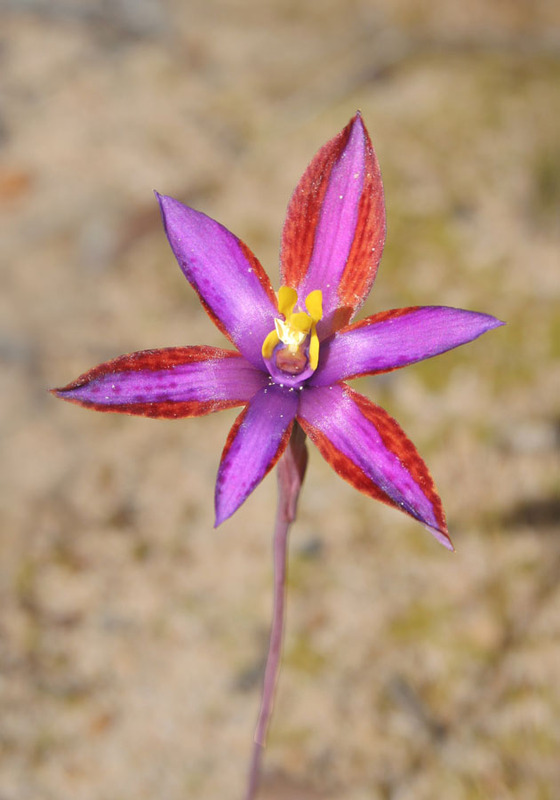 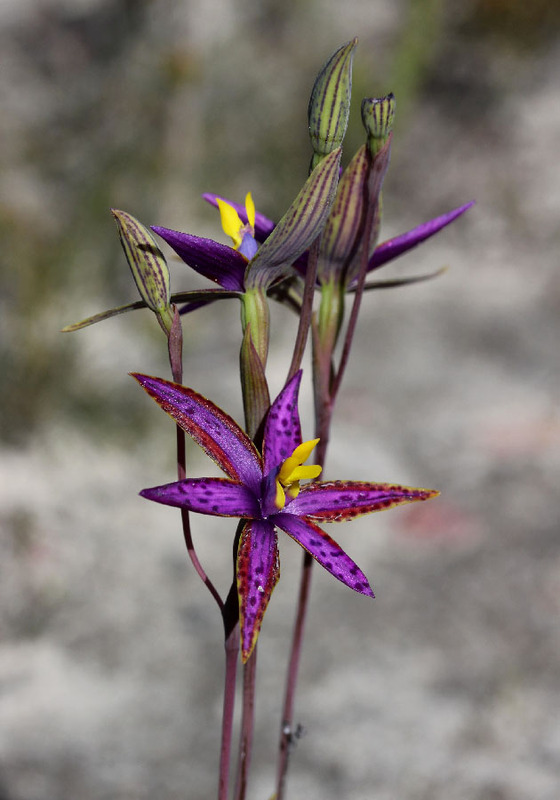 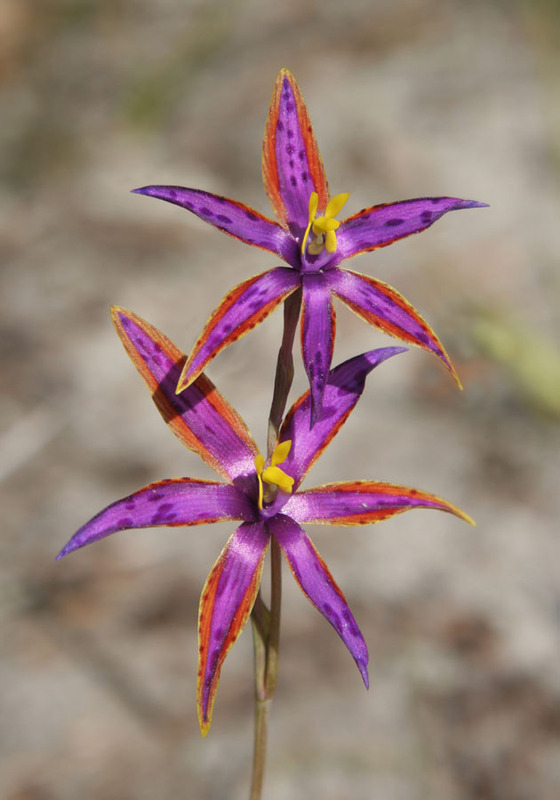 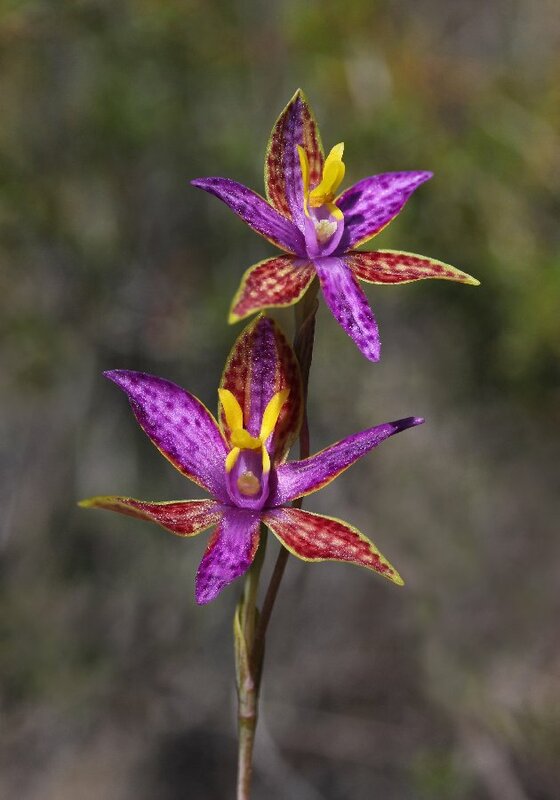 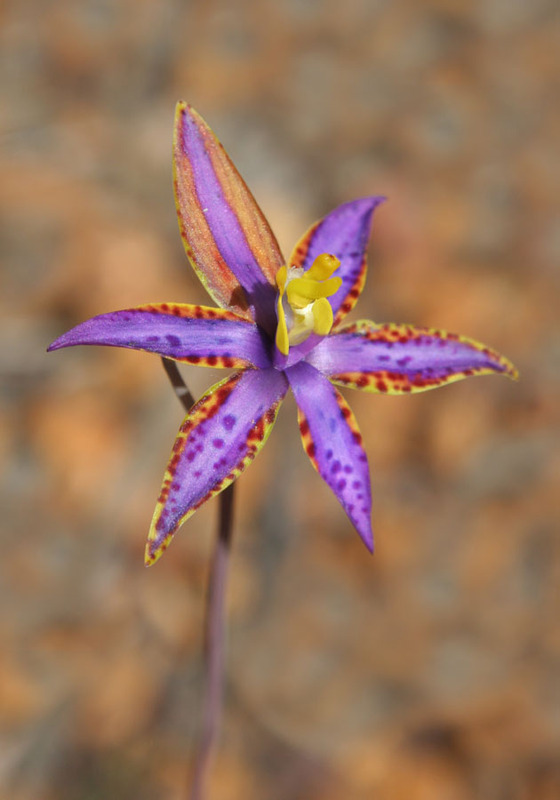 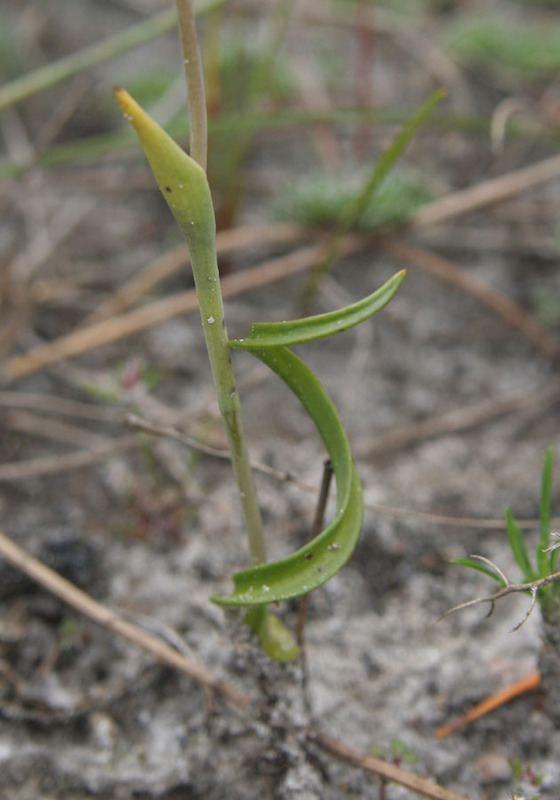 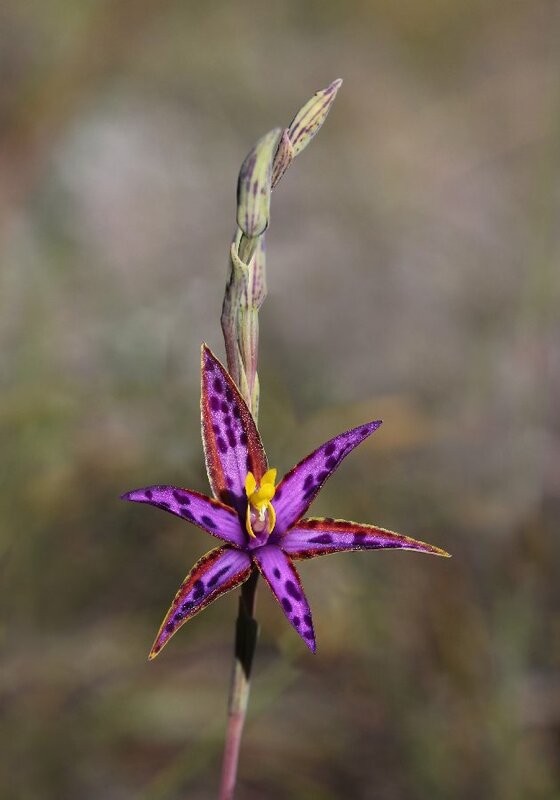 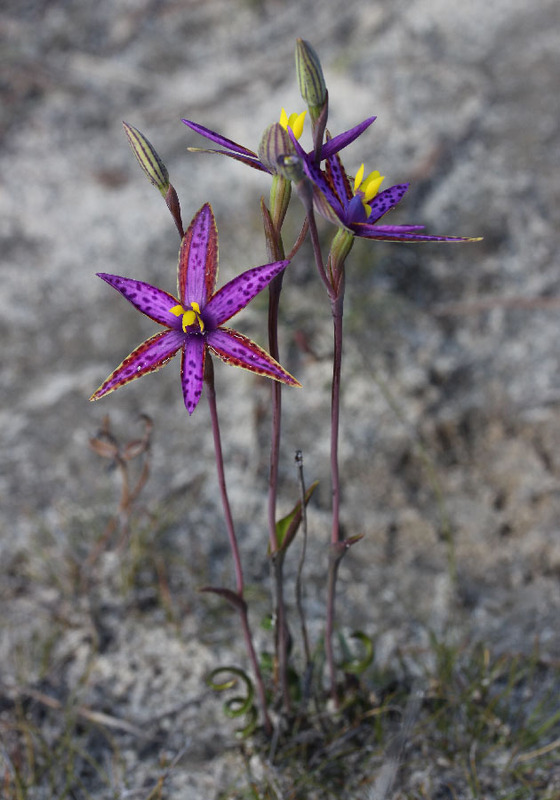 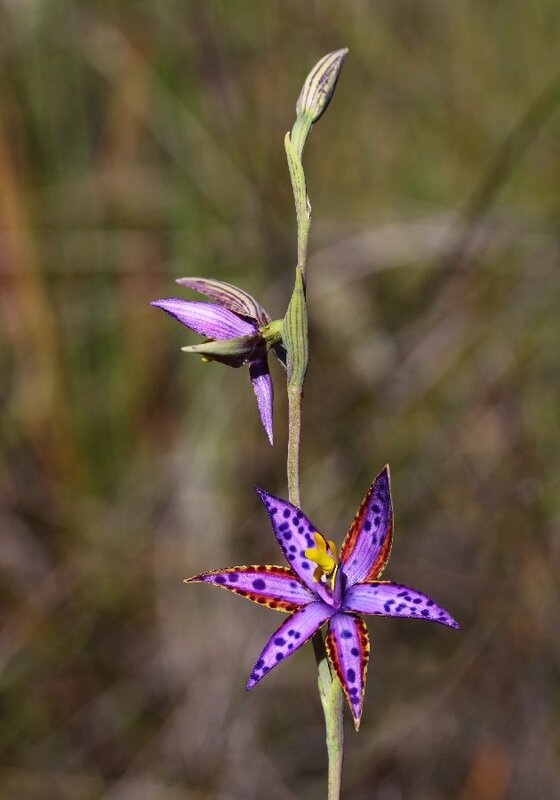 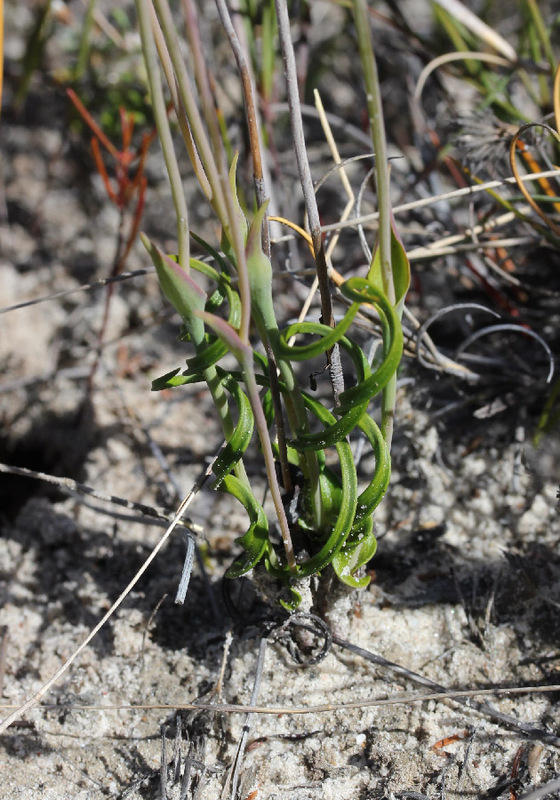 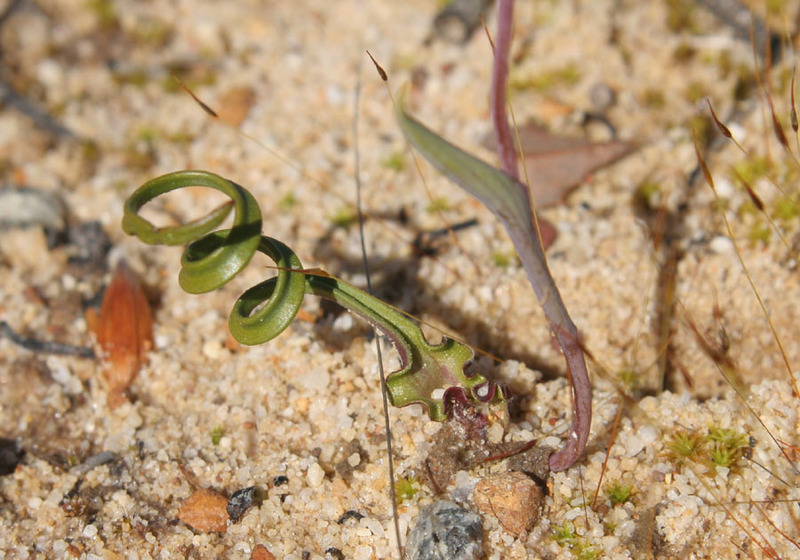 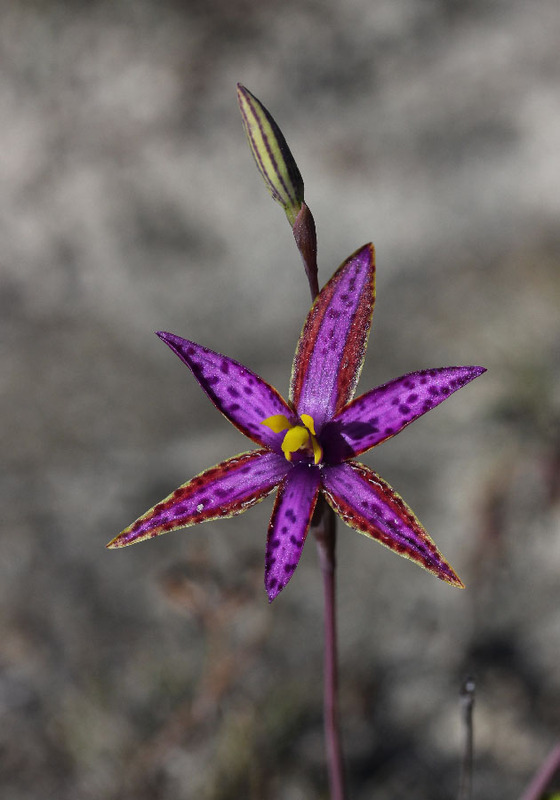 The Northern Queen of Sheba is found north of Perth in sandy soils on the coastal plain. 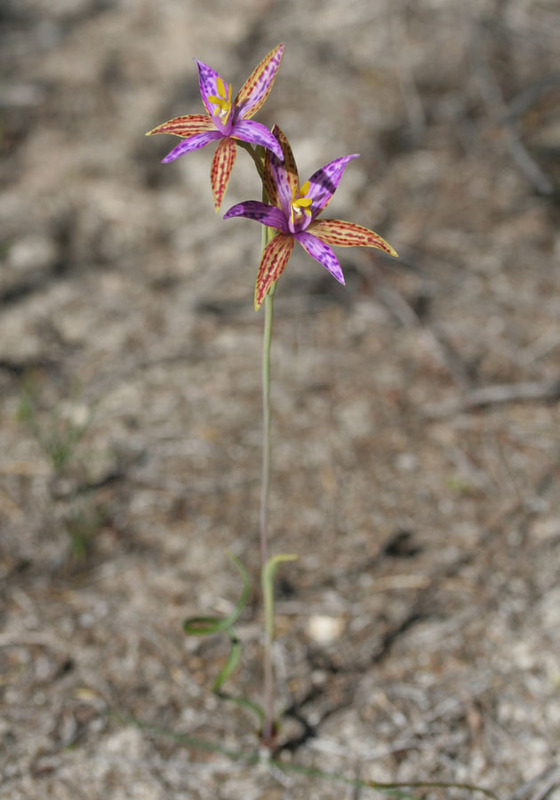 Plants usually have 1-3 flowers and typically have three pinkish petals and three red-yellow sepals. 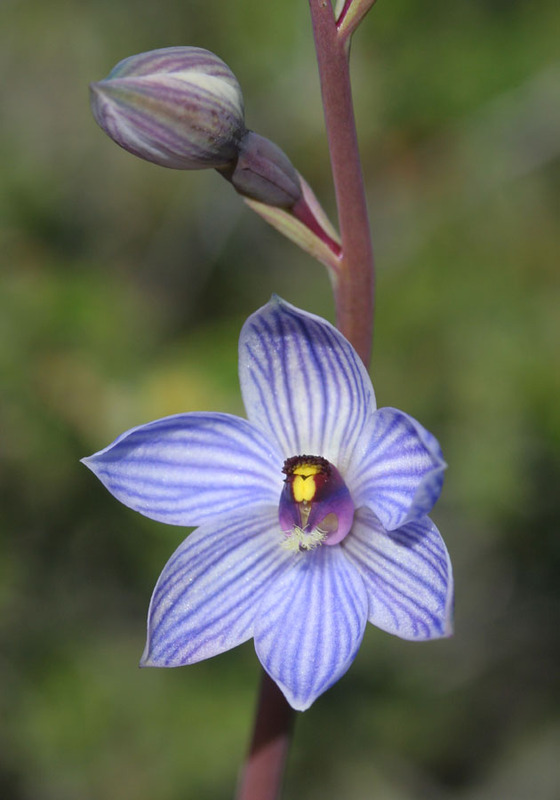 The Eastern Queen of Sheba typically has more blue colouring and often has a blue stripe down the centre of each petal and sepal. 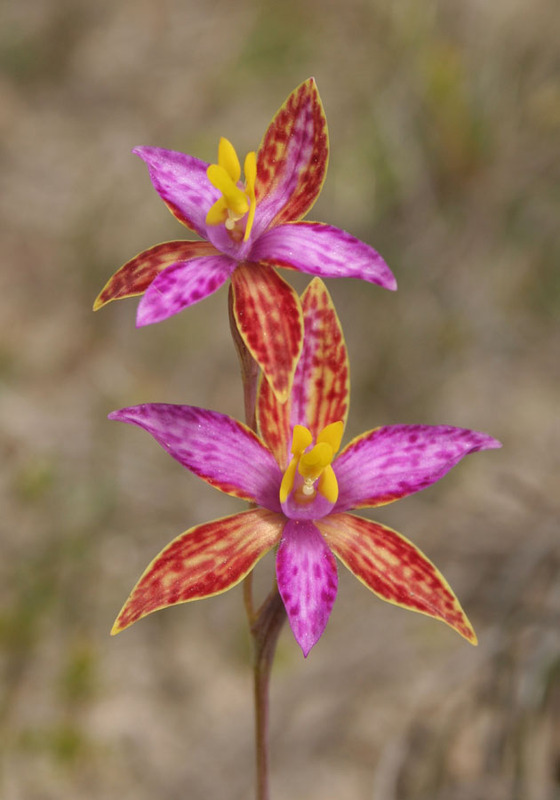 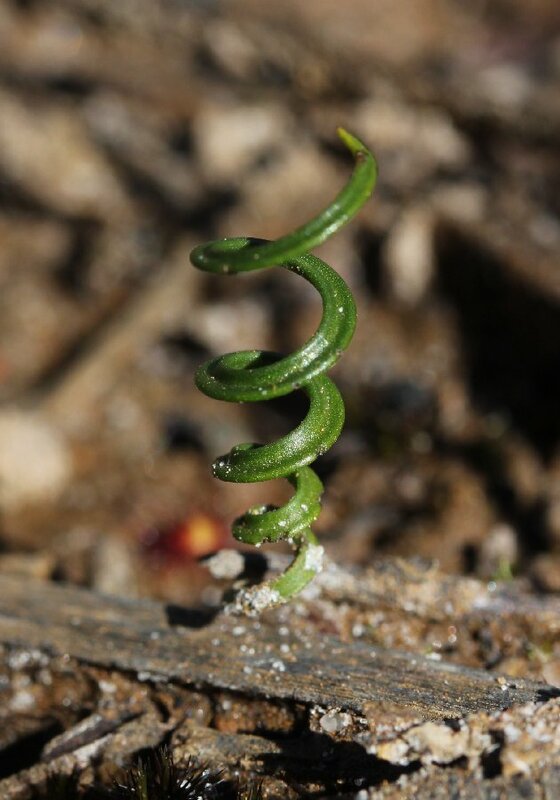 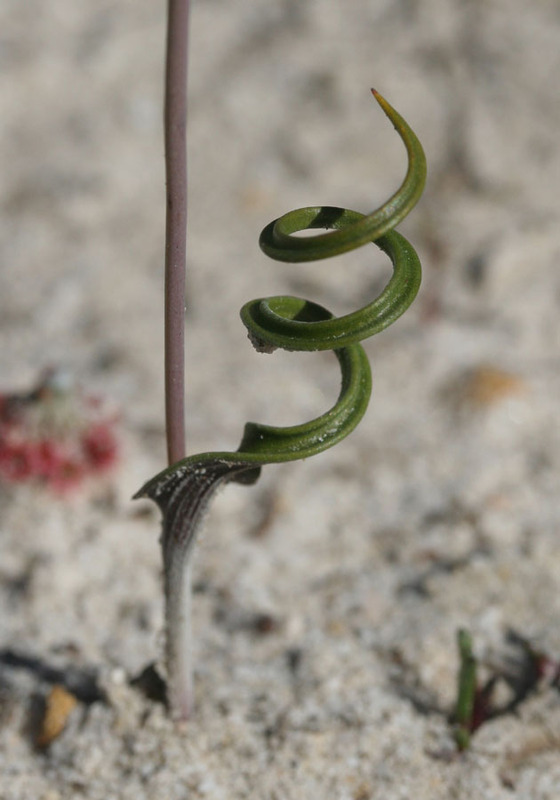 It is found from the Stirling Range east to Esperance. 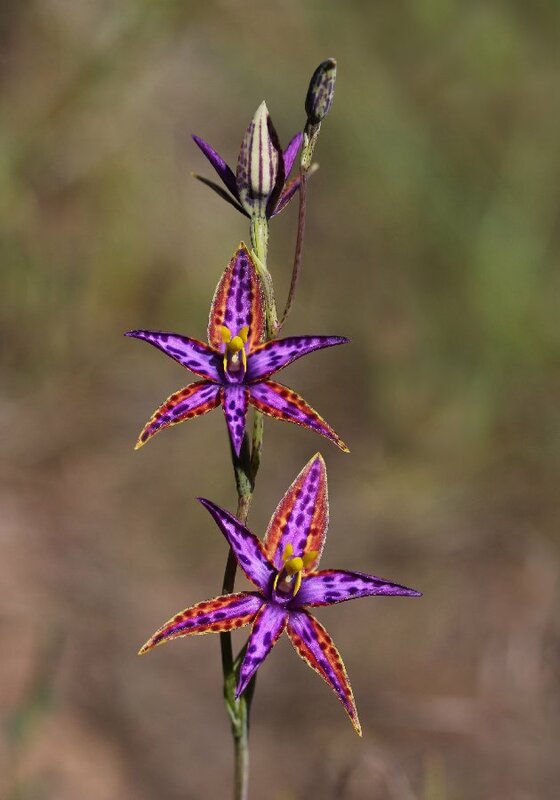 This variety rarely has more than two flowers per stem. 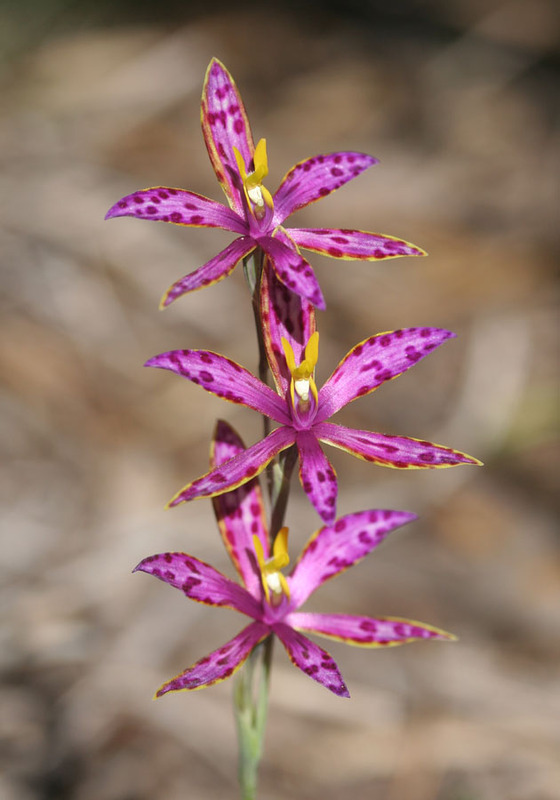 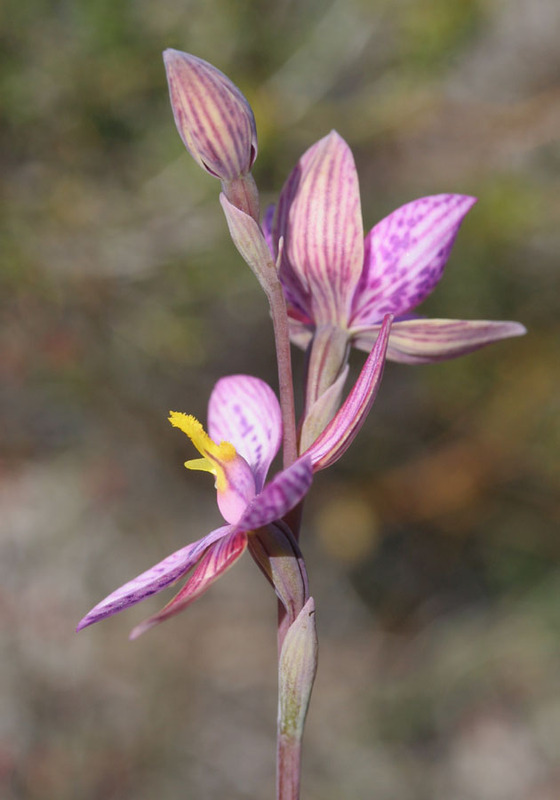 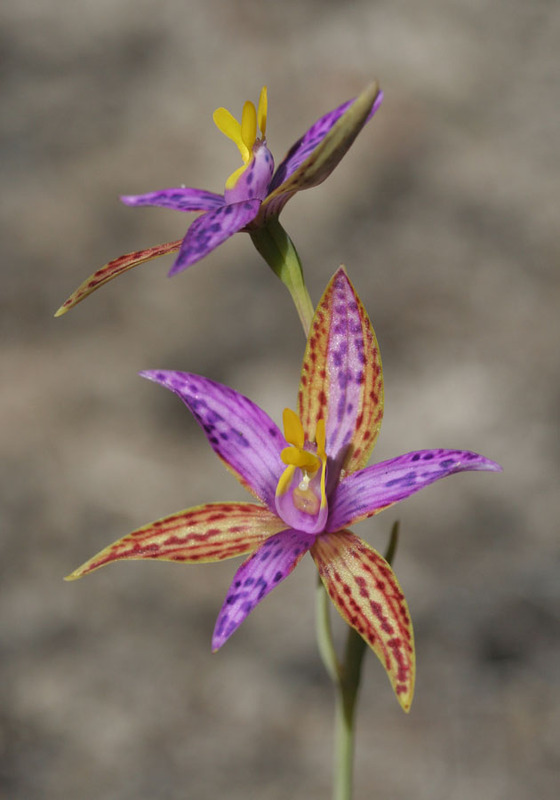 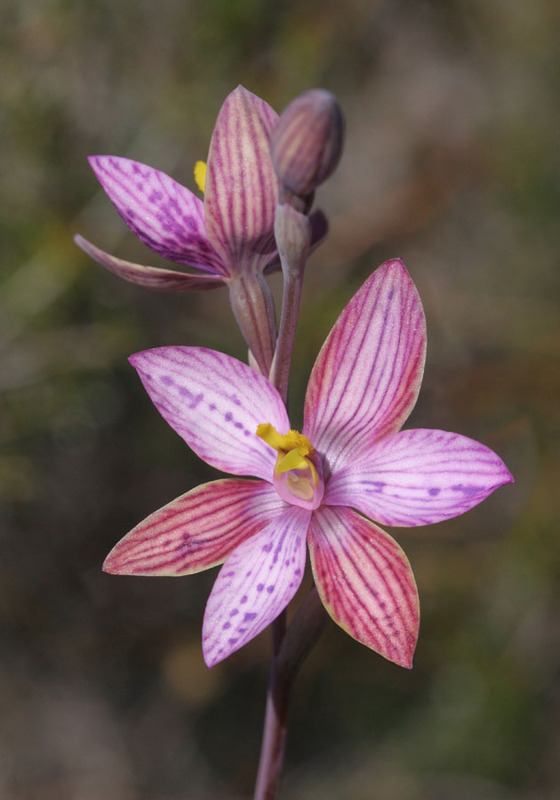 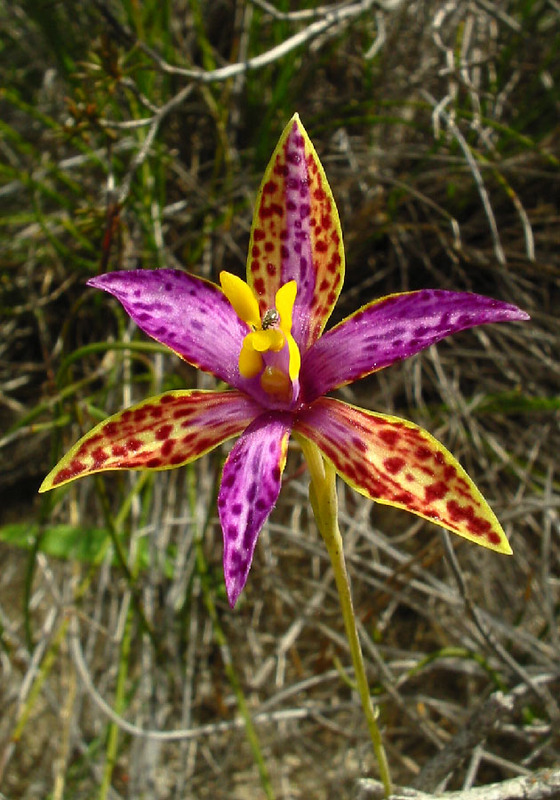 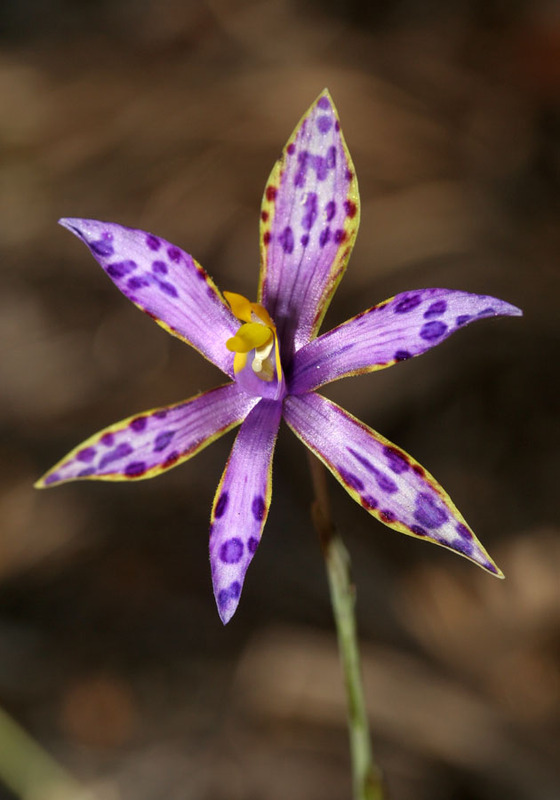 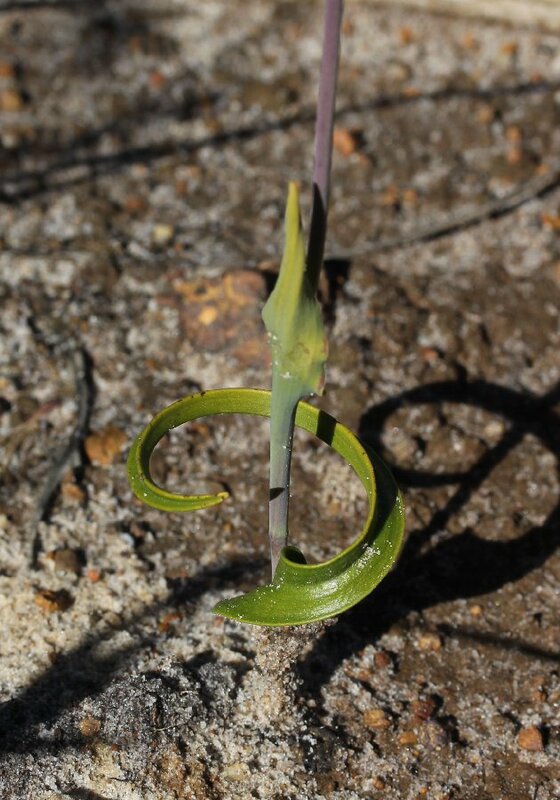 The characteristic stripes of the Shirt Orchid can be seen and the blue colouring from the Shirt Orchid parent has resulted in a dull pink colouring in the hybrid.